← Land of ice and fire. 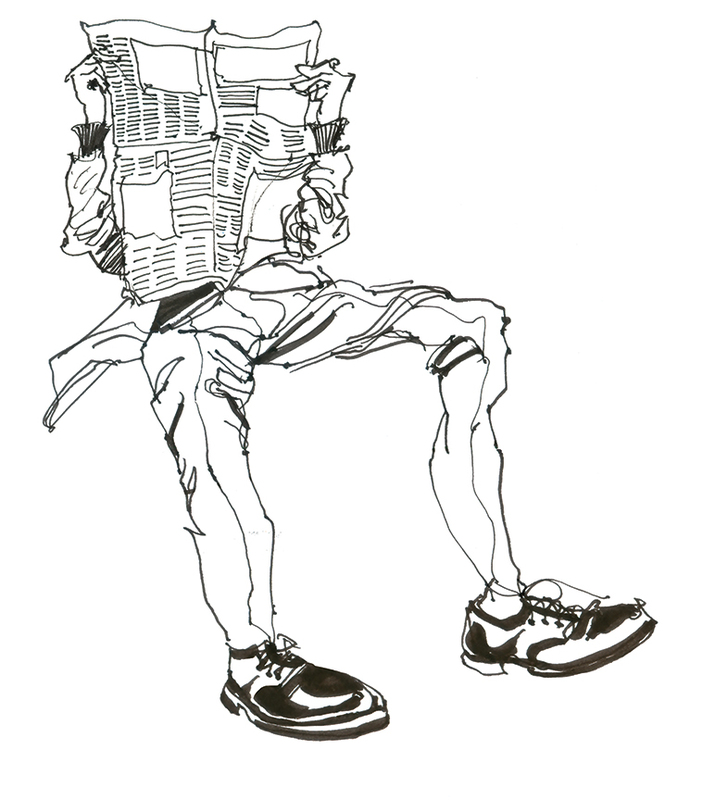 News; draw the public, in print! If all goes according to plan, draw the public hits the press this week. A series of drawings entitled, Haligonians, is about to be published in a local weekly newspaper published here in Halifax, Nova Scotia. Update: The illustration as seen in print, and the colour original. Thank you Narelle for your kind words and support. Best wishes to you too in your writing ventures. Kind regards, Russell. Thanks Emma, good to hear from you, hope all is well in Old London Town. Regards, Russell. Thanks Jo, have you been out and about with your watercolours lately, I’ll have to catch up with you. All the best, Russell. Thank you very much Hansi, and I’d like to return the compliment: A book of Hansi’s rants, with accompanying illustrations, would be a worthy addition to any bookshelf or coffee table. Best regards, Russell. Thank’s for your support Martin. All the best, Russell. Thanks again Rosie, maybe one day I’ll be able to make a modest living out of all this. Russell. oh wow, this is great! will you show us when it comes out? Thanks Miss J, they’ll be printed in black and white, maybe I’ll put the full colour versions up here, Russell. Congratulations! Will it be available for purchase outside of Canada? Thanks Nancy, haven’t got that far yet, maybe I should put together an e-book, or a calendar. Best regards, Russell. Oooh congratulations! Exciting news :) Hope it all goes well! Thanks t.i.l, I’ll keep you posted, Russell. Thanks slmann, I’m sure they will :-/ Russell.